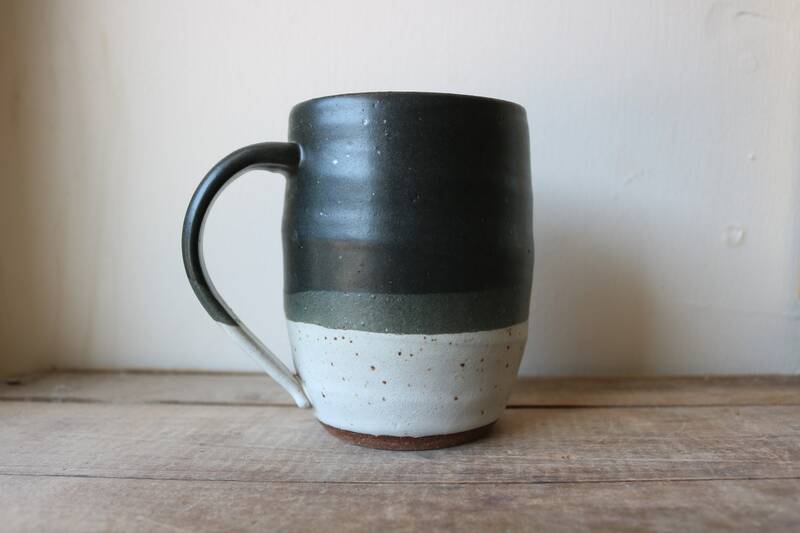 This earthenware mug is glazed in a simple matte black and speckled white. 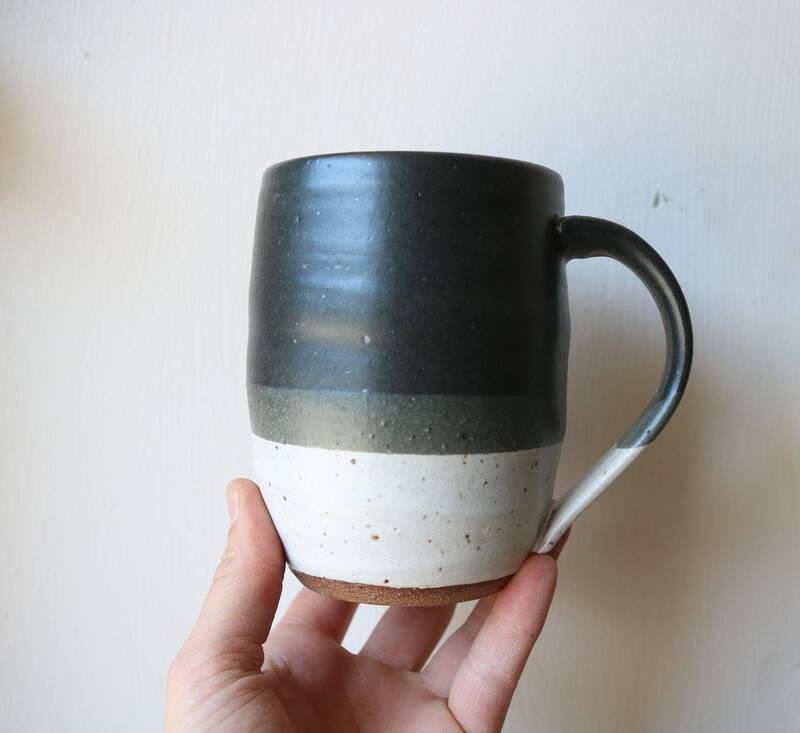 Mug holds approximately 16 oz. 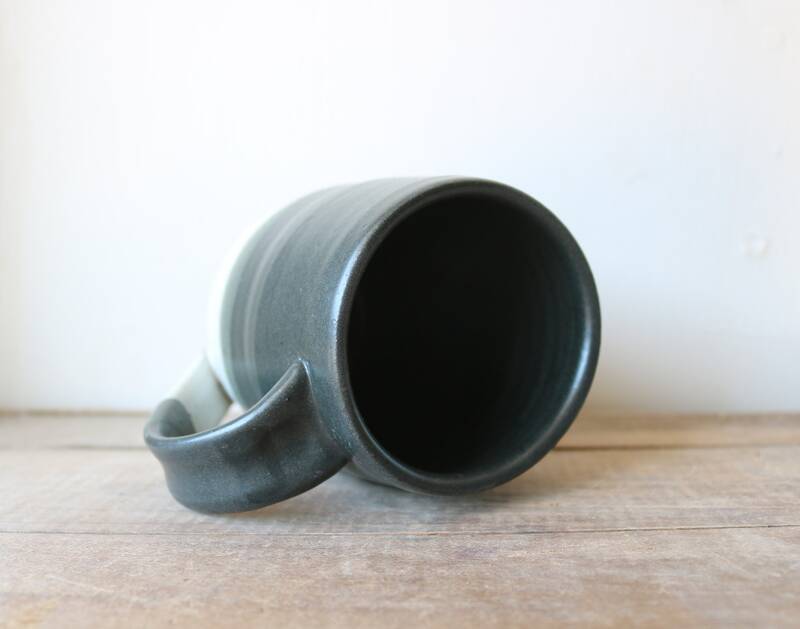 This mug is a great addition to my kitchen. It has a lovely feel and substantial heft. It makes stumbling to the coffee maker in the early AM worthwhile. Thanks so much. 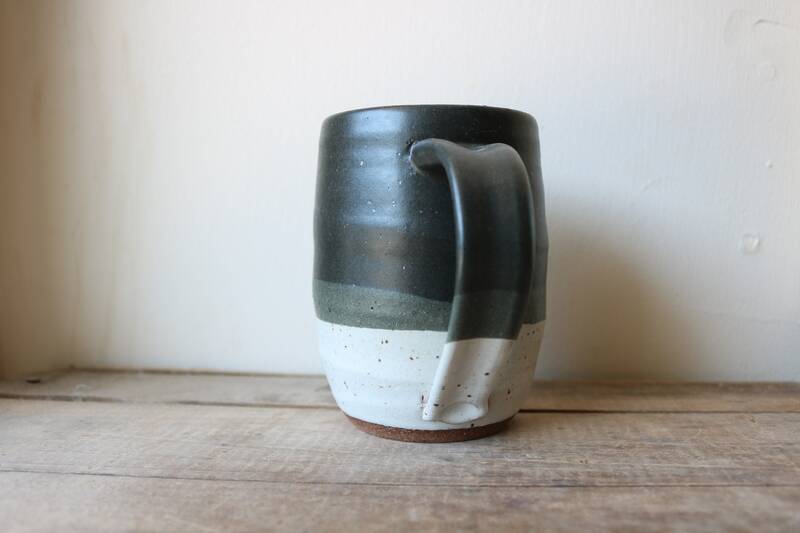 Love this mug! It's really beautiful and feels great in my hands. I really enjoy drinking my tea and coffee from it. 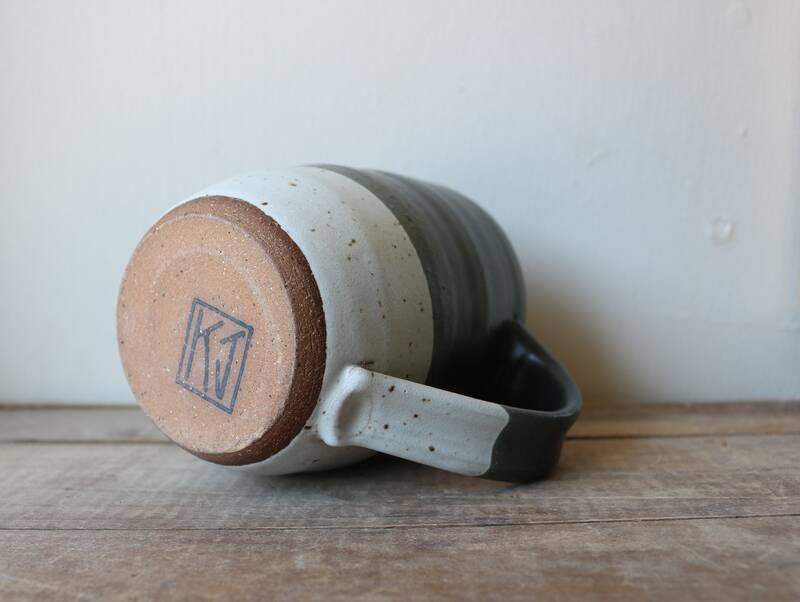 Wonderful and fast service from KJ Pottery too!